Authors: Kuznetsova O.Y., Andryukhin A.N., Degtyareva L.N., Mohika Estepa M.O., Yubrina I.V. 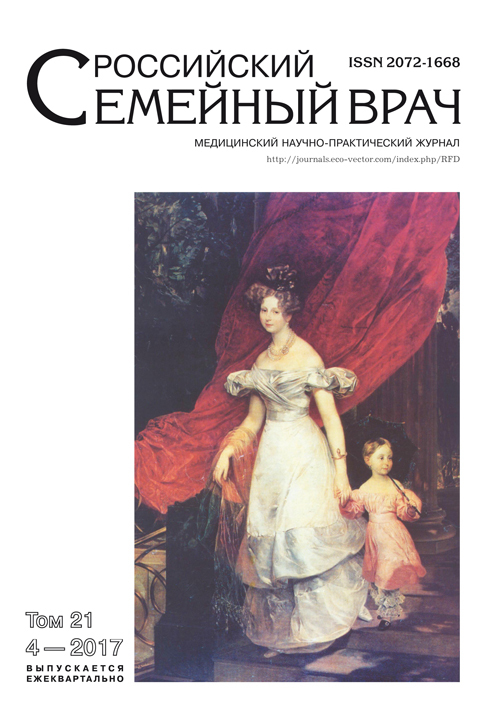 The article briefly describes the main stages of the formation of the St.Petersburg Association of Family Medicine. The role of the public professional organization in the implementation of continuous medical education is presented. association, family medicine, continuous medical education. Copyright (c) 2017 Kuznetsova O.Y., Andryukhin A.N., Degtyareva L.N., Mohika Estepa M.O., Yubrina I.V.